From Boston to Naples, How may I help you? The Naples area housing market ended 2018 with impressive annual activity statistics in all areas of the residential real estate market. There was an 11 percent increase in total closed sales and a 14 percent increase in inventory compared to 2017. 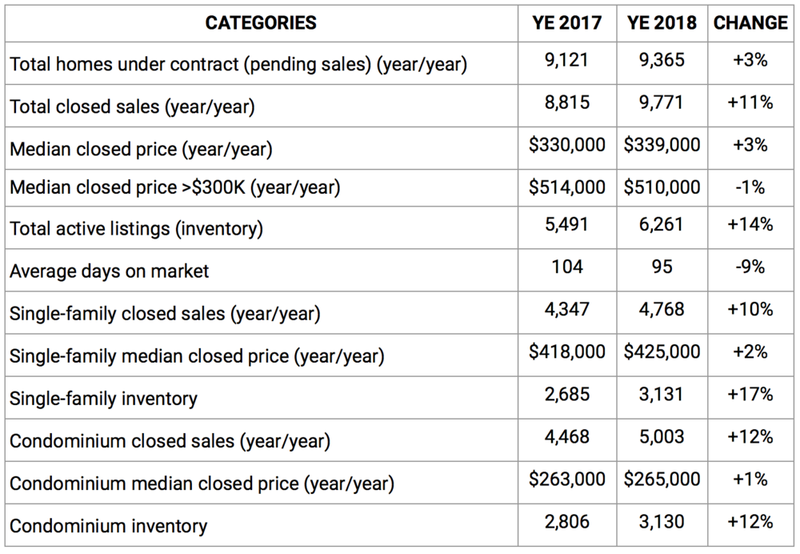 Sales of homes over $1 million continued to drive the market in 2018, especially in the condominium market where closed sales of condominiums over $1 million increased 37 percent! According to the Year End 2018 Market Report released by the Naples Area Board of REALTORS® (NABOR®), which tracks home listings and sales within Collier County (excluding Marco Island), inventory at the end of 2018 was the highest on record in six years. "Prices held steady in 2018 with just a 3 percent increase in median closed price," said Brenda Fioretti, Managing Broker at Berkshire Hathaway HomeServices Florida Realty. "However, for homes over $300,000, the median closed price actually decreased 1 percent." Single-family homes in the Naples Beach area (34102, 34103, 34108) reported the highest median closed price increase (14 percent) in 2018 compared to 2017. But that's most likely due to closed sales of a few multimillion homes that took place last year including a $48.8 million transaction in June for a home in Port Royal. Conversely, closed sales of single-family homes in the Ave Maria/Immokalee area increased 233 percent to 143 homes in 2018 compared to 43 single-family homes in 2017. Median closed prices for single-family homes in the Ave Maria/Immokalee area decreased 4 percent to $245,000 in 2018 compared to $255,000 in 2017. 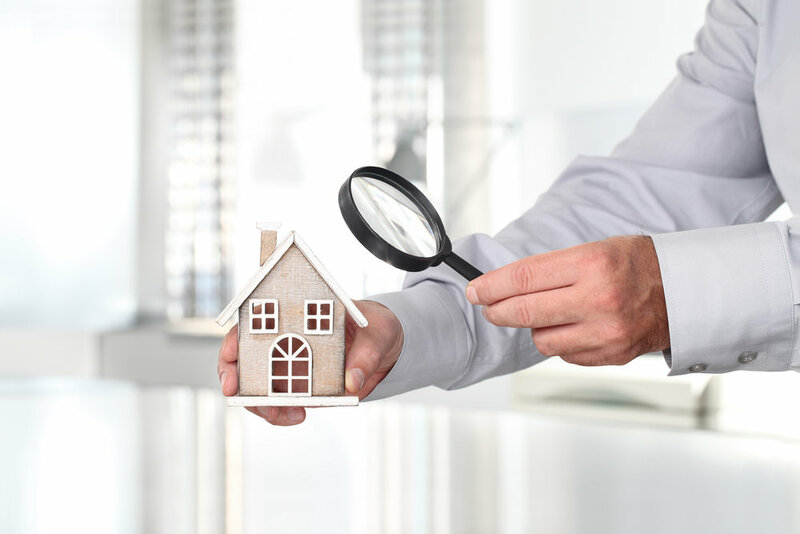 This area also reported the highest increase in single-family inventory (40 percent) among all geographic areas tracked, the single-family home inventory in Central Naples (34104, 34105, 34116) increased 38 percent to 391 homes in 2018 from 283 homes in 2017. As pointed out by NABOR® President Jeff Jones, Managing Broker for Engel & VölkersNaples and Bonita Springs offices, the 3 percent increase in overall pending sales for 2018 concerned him at first as it looked too low compared to activity in other areas of the report. However, after much discussion with several broker analysts also reviewing the annual market report including Mike Hughes, Vice President and General Manager for Downing-Frye Realty, Inc., it was determined that, according to Hughes, "the smaller-than-expected increase was because many closings for a large percentage of homes under contract in the 4th quarter of 2017 were delayed while repairs from Hurricane Irma damage took place." I hope you use this information to make smart and informed decisions in your upcoming real estate transactions! I'm here to help along the way. Let’s take a look at the Naples area during the month of December 2018. The number of active listings was up 5% from one year earlier and did not change from the previous month. These latest figures mean that buyers had a greater selection of homes to choose from compared to the same month the previous year. As you can see, the median listing price for the month, was just under $410,000. Compared to last year, the average number of days that units spent on the market before being sold was down 5%. This lower number of days may signal a positive trend in the local inventory turnover rate. The median sale price was just under $320,000. The number of units sold decreased 11%, year over year and increased 3%, month over month. Despite a slight annual decrease, this upward monthly sales trend indicates positive momentum. Now, let’s take a look at residential real estate activity in the North Naples area during the month of December 2018. The number of active listings was down 7% from one year earlier and up 4% from the previous month. This recent increase reflected a larger selection of homes for buyers to choose from. As you can see, the median listing price for the month, was just under $520,000. Compared to last year, the average number of days that units spent on the market before being sold was down 30%. This lower number of days may signal a positive trend in the local inventory turnover rate. The median sale price was just under $420,000. The number of units sold decreased 12%, year over year and held steady, month over month. Even though sales figures were down from a year ago, the recent local market conditions were basically unchanged. This is current and historical data from Premier Sotheby's International Realty's local MLS to produce detailed, highly visual and easy to interpret videos that demonstrate monthly market trends. I hope you use this information to make smart and informed decisions in your upcoming real estate transactions! I'm here to help along the way. Let’s take a look at the Naples area during the month of October. The number of active listings was up 2% from one year earlier and up 5% from the previous month. This continued upward trend reflected a healthy inventory for buyers to choose from. As you can see, the median listing price for the month, was just under $400,000. Compared to last year, the average number of days that units spent on the market before being sold was down 6%. This lower number of days may signal a positive trend in the local inventory turnover rate. The median sale price was just over $340,000. The number of units sold increased 3%, year over year and increased 1%, month over month. These figures may indicate that buyers have been taking advantage of opportunities in this market. Now, let’s take a look at residential real estate activity in the North Naples area during the month of October. The number of active listings was down 8% from one year earlier and up 10% percent from the previous month. This recent increase reflected a larger selection of homes for buyers to choose from. As you can see, the median listing price for the month, was just over $520,000. Compared to last year, the average number of days that units spent on the market before being sold was down 6%. This lower number of days may signal a positive trend in the local inventory turnover rate. The median sale price was just under $480,000. The number of units sold increased 83%, year over year and decreased 4%, month over month. Higher year-over-year figures indicate that more buyers have been finding what they are looking for. Let’s take a look at the Naples area during the month of September. The number of active listings was down 4% from one year earlier and did not change from the previous month. This smaller inventory means that buyers who waited to buy, may have had a smaller selection to choose from. As you can see, the median listing price for the month, was just under $400,000. Compared to last year, the average number of days that units spent on the market before being sold was up 2%. This higher number of days may signal a slow down in the local inventory turnover rate. The median sale price was just under $330,000. The number of units sold increased 37%, year over year and decreased 19%, month over month. Higher year over year figures indicate that more buyers have been finding what they are looking for. Now, let’s take a look at residential real estate activity in the North Naples area during the month of September. The number of active listings was down 10% from one year earlier and up 2% percent from the previous month. This recent increase reflected a larger selection of homes for buyers to choose from. As you can see, the median listing price for the month, was just under $530,000. Compared to last year, the average number of days that units spent on the market before being sold was down 33%. This lower number of days may signal a positive trend in the local inventory turnover rate. The median sale price was just over $520,000. The number of units sold increased 15%, year over year and increased 5%, month over month. These figures may indicate that buyers have been taking advantage of opportunities in this market. Fall is around the corner! As the heat subsides, you'll want to get outdoors and enjoy your favorite activities. However, this season can also come with a shift in weather conditions that can have a serious impact on your home. It’s time to do some routine maintenance to get things in shape for the months ahead. Clean or replace air conditioning filters. If you have an energy recovery system (air exchange system), remember that these filters also need to be cleaned or replaced. Inspect, clean or replace kitchen vent hood filters (non-charcoal filters). Flush all toilets and run water through all sinks, especially in bathrooms that are not used on a regular basis. Check the exterior drainage conditions to ensure that nothing is causing water to stand in puddles for more than 24 hours and that water from any source is not draining toward your foundation. Check your GFCIs (ground fault circuit interrupters) for proper operations by tripping the circuit interrupter buttons and then resetting them. If they will not trip and reset, contact your Customer Care Department for service or information on what to do. Inspect, lubricate and clean all of your exterior vents. Make sure that air flows freely and that each has an operable damper to prevent back flow of outside air and to keep small animals from entering your home. Lubricate all overhead garage door hinges with white lithium spray. Inspect and clean all weep holes for water drainage (windows). Every six months, inspect and service either your heating or air conditioning system, depending on the season. Twice a year, you should inspect and repair the following caulked areas, as necessary. If you have a basement and it has a sump pump, check to make sure it is operating properly, clean the pump screen and remove any soil buildup from the well. Clean and repair gutters. Make sure gutters are free of material that could prevent free flow of water. Make sure you have splash deflectors at the base of the downspout to deflect water away from the home. Inspect and adjust sprinkler systems. Set your timers for the proper season to ensure enough, but not too much water per station. Drain and refill your hot water heater(s). This may be necessary on a more frequent basis if you live in an area with extremely hard water. Inspect and test your hot water heater safety valve. Inspect your garage door(s), rails and lock system; adjust and lubricate, as necessary. Consider changing your garage door opener code as a security precaution. Service your lawn mower and yard equipment (blowers, edgers and trimmers). Clean your faucet aerators and inspect your plumbing for leaks. Clean and sharpen your garbage disposal by running a tray of ice cubes and depositing a cleaning (foaming) product into the disposal. Inspect or have tested your home fire extinguishers. According to The NABOR® First Quarter 2018 Market Report, home listings and sales within Collier County (excluding Marco Island), overall closed sales increased two percent to 2,926 properties in the second quarter of 2018 from 2,880 in the second quarter of 2017. In the $2 million and above single-family home market, closed sales rose 25 percent in the second quarter of 2018. This means that interest in luxury homes only continues to be high. The real estate market's stability during the second quarter also extended to its median closed prices which increased only one percent to $345,000 in the second quarter of 2018 from $340,000 in the second quarter of 2017. With an average of 30 transactions a day during the 2Q, the summer months (and September) are looking promising! The number of active listings was down 12% from one year earlier and down 12% from the previous month. This smaller inventory means that buyers who waited to buy may have had a smaller selection to choose from. As you can see, the median listing price for the month, was just under $550K. Compared to last year, the average number of days that units spent on the market before being sold was down 2%. This lower number of days may signal a positive trend in the local inventory turnover rate. The median sale price was $480K. The number of units sold increased 12% year over year, decreased 10% month over month. Higher year over year figures indicate that more buyers have been finding what they’re looking for. During the month of May, the number of active listings was down 10% from one year earlier and down 8% from the previous month. This smaller inventory means that buyers who waited to buy may have had a smaller selection to choose from. The median listing price was just over $410K. Compared to last year, the average number of days that units spent on the market before being sold was up 3%. This higher number of days may signal a slow down in the local inventory turnover rate. The median sale price was just under $340K. The number of units sold decreased 6% year after year and increased 1% month over month. Despite a slight decrease, this upward monthly sales trend indicated positive momentum. 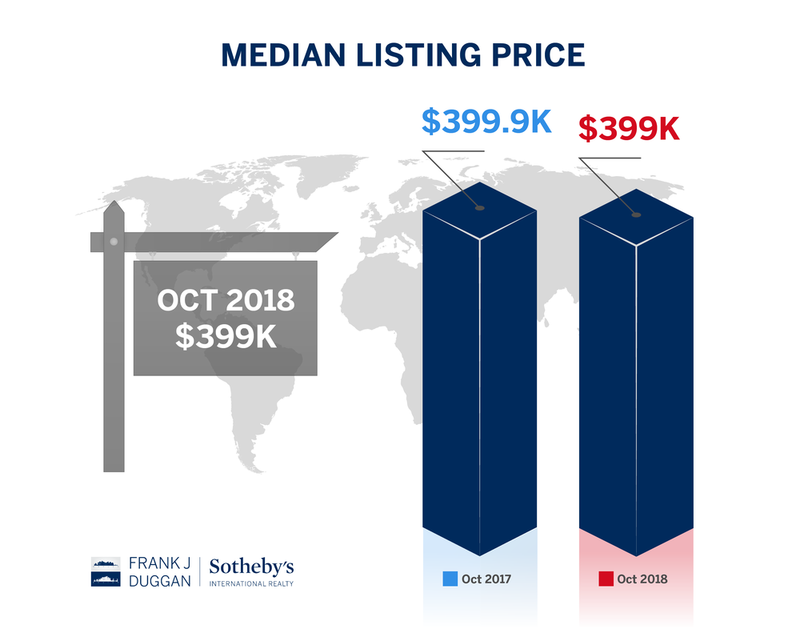 This is current and historical data from Premier Sotheby's International Realty's local MLS to produce detailed, highly visual and easy to interpret videos that demonstrate monthly market trends.I hope you use this information to make smart and informed decisions in your upcoming real estate transactions! I'm here to help along the way.